Dubai, UAE, 31 October 2018: IoT-powered smart controls have enabled building operators and facility managers to collect data and perform predictive analysis, asserted Deepinder Singh, CEO, 75F. Elaborating on 75F’s contribution to the field of IoT and HVAC, he said, “In 75F’s software configuration, sequences are pre-defined, allowing a single-field equipment-controller model to perform different sequences, based on a simple user-friendly menu.” Further, with the ability to deliver the firmware updates over the air, he added, customers also get a continuously improved functionality, while eliminating the need for an on-site visit to receive upgrades. It is crucial for IoT-focused companies to understand that every building is a dynamic entity and that the intelligence system installed should be dynamic as well, Singh asserted. “Our Dynamic Airflow Balancing System leverages the latest in technology and ensures that occupants are comfortable in terms of IAQ, while saving up to 50% on energy consumption,” he said. Elaborating on how zone sensors contribute to data collection, he said, “Zone sensors are wireless and the controls can be connected to hundreds of data points, while sending the data to a central control unit, which is stored in a cloud.” By combining insights from real-time data, he added, the system is able to adopt a customised strategy, which leads to maximum energy savings. Pointing to a few challenges to the use of IoT-enabled sensors, Singh said that the lack of awareness is the number one issue. 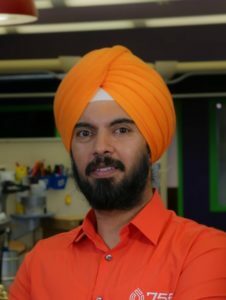 “IoT is often misunderstood as an expensive affair and more than just the adoption of IoT in building systems, there is a need for high-level encryption when it comes to data collected.” Singh added that multiple data storage locations are needed, where only persons with a unique log-in credential can have access to the system.